A collection of traditional stories from one of the world�s oldest civilizations. For over two thousand years, the Chinese have used brief sayings known as chengyu to sum up practical wisdom and ethical principles. Most chengyu are associated with a story that illustrates their meaning, and these stories have been passed down by word of mouth over the centuries. 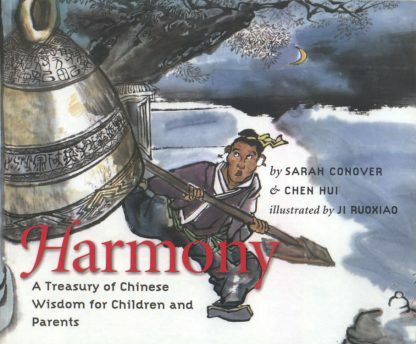 Gathered in this volume are twenty-four of the most popular chengyu and the stories based on them, each beautifully illustrated by one of China�s foremost artists, Ji Ruoxiao. For readers curious about the cultural context of the tales, the book includes a brief overview of Chinese religious traditions as well as background notes on each story, a map, and chronology. Simple, often humorous, and always wise, these tales will delight readers of all ages. Chen Hui was born in 1966, at the very start of the Cultural Revolution, in Changsha, the capital of Hunan Province. Her professional career has led her to teach English in China, to place English teachers in Chinese schools, and to teach Chinese in English-speaking schools. Harmony is her first book.